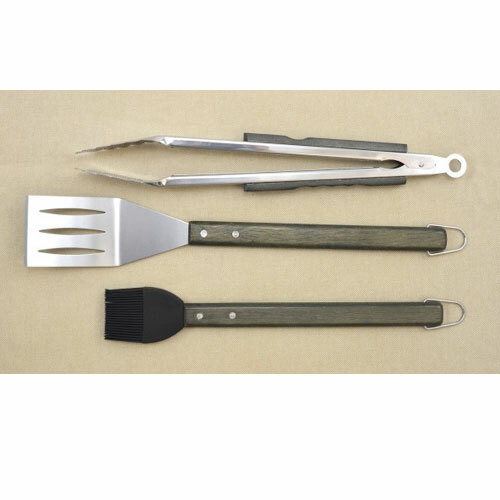 SS Oval Pro Chef 3PC BBQ Tool Set | Patio and Hearth Co. This stylish 3-piece tool set includes a silicone basting brush, stainless steel spatula and tongs with espresso stained oak handles. Inquire about SS Oval Pro Chef 3PC BBQ Tool Set using the form below.